When Nando’s first arrived in Australia, the South African product became embroiled in the race-related politics of the day. A poster had three different colour chickens side by side, with the line, “We’re all the same on the inside, Pauline (Hanson). A radio advertisement referring to refugees in Australian prison camps unsewing their lips to eat Nando’s chicken was withdrawn after protests about insensitivity. Now we have some of our very own TV ads for Australia, featuring the larrikin behaviour of Chicken Man, the feather ruffler. All were developed by Clemenger Harvie Edge (CHE), Melbourne, under the creative eyes of Andrew Foote and Adam Francis. Production was done at The Money Shot, Tide Digital Editing and Good Audio Sense. These are all available online at www.nandos.com.au in wmv form. 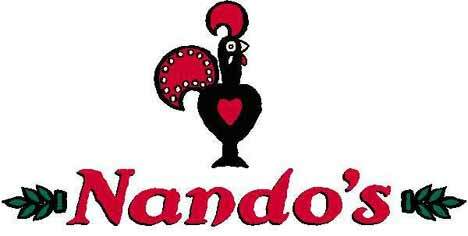 Freshwater Films, a South African film production company, features another two Nando’s adverts.